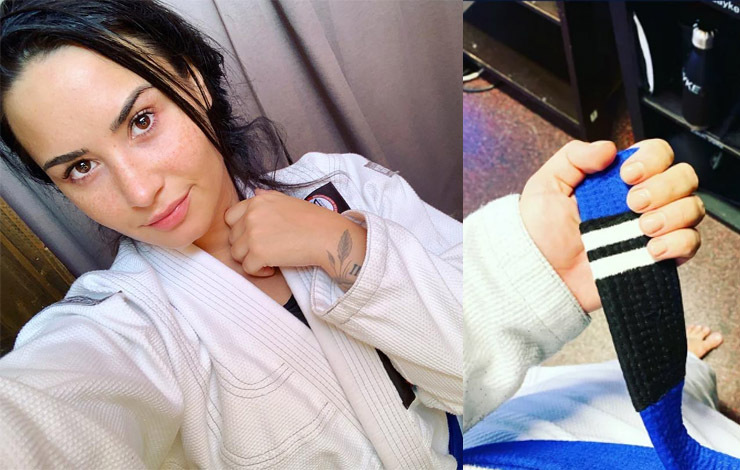 Demi Lovato made huge waves back in August of 2017 when she got her blue belt. Many questioned if she deserved it. The young pop star has taken a liking to a variety of mixed martial arts and can be seen around the web hitting takedowns on her instructor, working on technique and striking among other things. “I would say that if you struggle with depression, anxiety, or any other type of stressors in your life, a really great way to get rid of those is through physical exercise and fitness.” Demi told People magazine. 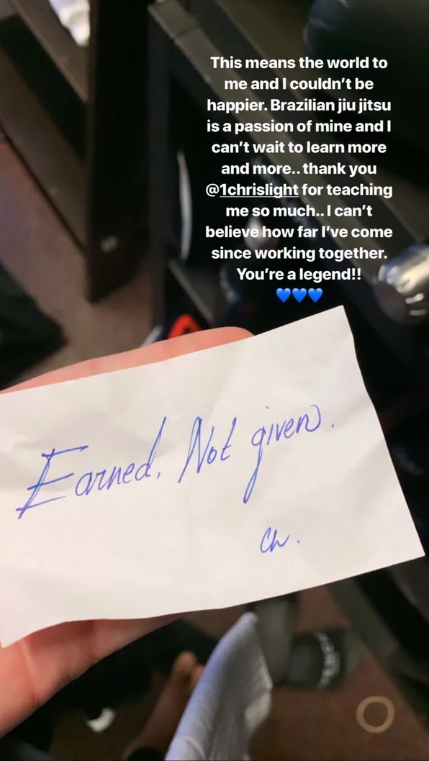 After an intense 1 year of training, Lovato was promoted to blue belt by her instructor Orlando Sanchez of Gracie Barra. I’m so beyond excited because I just received my blue belt in #brazilianjiujitsu!!!! I fell in love with #BJJ over a year ago and have been training several times a week ever since.. thank you so much to @chilcote.dunn @captainHarlan_ @tarsisbjj for giving me my belt along with one of the most important and special women in my life today @officialdaniellemartin/@trueboundaries – I love you so much and couldn’t be more grateful for you ???? also special shoutout to @jayglazer for flying in to give me my belt as well!!! Love you jay!!! Demi Lovato went through a huge ordeal in 2018. 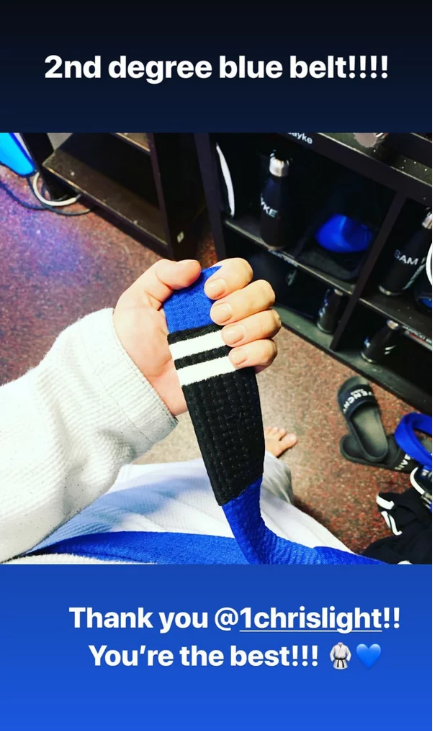 The pop star – and blue belt in bjj reportedly relapsed after several years of sobriety and was subsequently revived with the aid of narcan while suffering a fentanyl overdose. Lovato previously said that she loves all forms of mixed martial arts, but jiu-jitsu is her favorite type.